The Odin satellite is a 1.1 m telescope where the main instrument is a radiometer, covering the frequencies 486 - 580 GHz and 119 GHz. It is named after Odin in Norse mythology and was a collaboration project between Sweden, Finland, Canada and France. It was developed by the Swedish Space Corporation and was launched from Svobodny, Russia February 20, 2001. The project had two goals, to do astronomy and to study the Earth atmosphere. During the first years, Odin was working in both astronomy and aeronomy. 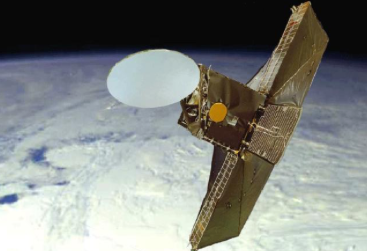 More than 16 years after its launch is is still in orbit, but only used for aeronomical observations. The astronomy observations continued until 2007 and was mostly in the field of star formation. As a new PhD student, I started to work with Odin data. My first project was to analyze the water emission aquired towards a number of outflow and shocks. The swedish efforts in astronomy were led by Åke Hjalmarson at Chalmers.